A great way to relax at your static caravan or lodge is with a nice glass of wine or a cuppa. 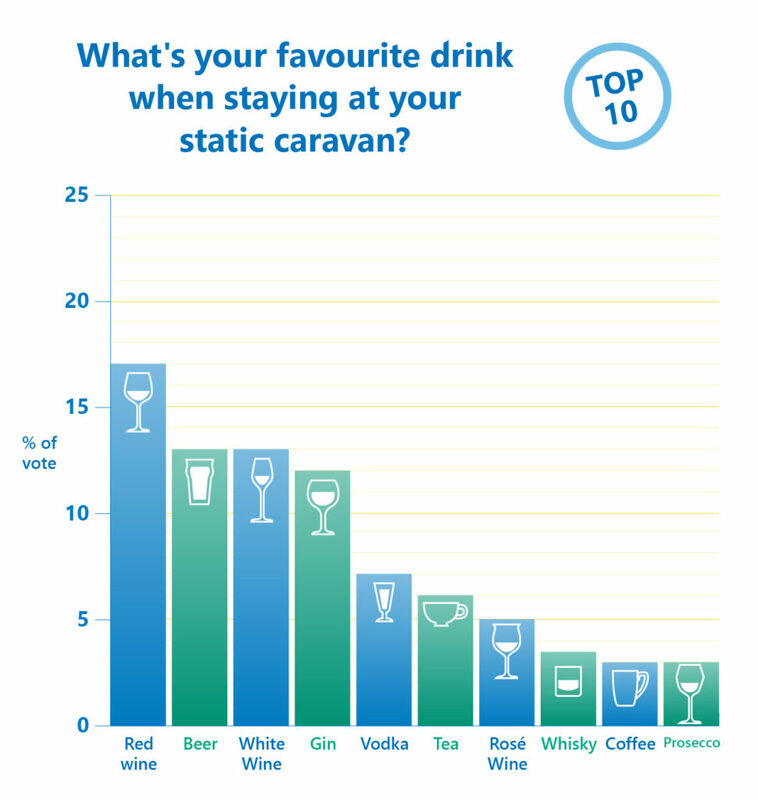 In last month’s community poll, we asked you to vote for your favourite tipple when at your holiday caravan. With more than 100 votes and many beverages to choose from, we’ve compiled a list of your top tipples! Top of the tipples with 17 per cent of the votes was red wine. Tied in second place were beer and white wine, each gaining a 13 per cent share of the votes. Gin holds fourth place with 12 per cent of the votes, followed closely behind by vodka, tea and rosé wine. The last three spots of our top of the tipples were taken up by whisky, coffee and prosecco – not mixed together of course – that would be quite a lethal cocktail! With so many drinks to choose from, many received a small number of votes. Those who didn’t manage to make the top 10 included hot chocolate, rum, Martini, lager, cider and fizzy pop. Some non-alcoholic drinks like fruit juice and milk didn’t even get a single vote! Tea seemed to be popular in the comments section, with a view different varieties mentioned. Annie likes a hot, sliced ginger, and lemon tea and Wendy Middleton likes green tea. Tracy Perry told us she loved to try out Welsh gins when in her caravan in Wales – sounds perfect! And Kay McDowie’s top tipple wasn’t on our list. “Our fave drink is Pimms and lemonade, one ice and a cherry or strawberry slice, on a hot (hopefully) day,” she said. Brenda Mendrinos made us wish summer was upon us as she described enjoying her favourite drink: “A cool white wine is great when relaxing at sunset,” she commented. What do you make of the results? Let us know in the comments box below. Poll: How long have you been on your holiday park for?